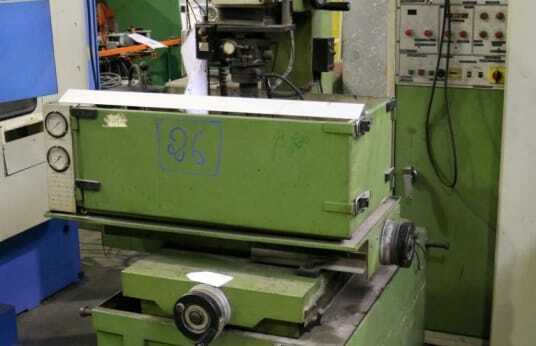 EDM machine, Table surface 600x300mm, Longitudinal stroke of the table 300mm, Transverse stroke of the table 150mm, Vertical stroke of the electrode carrier carriage: 200mm - Maximum weight allowed on the table: 150kg - Dimensions of the generator: 500x500x1700mm - Power of the generator: 60A. , Stock number 91589. ATTENTION: Machine loaded by overhead crane.